The past year has been a very difficult one for all organisations working with Gypsies, Travellers and Roma. The government has been reluctant to consult with Gypsies, Travellers and Roma, or with their organisations even as we have seen a flood of legislation which directly or indirectly brings them huge disadvantages. 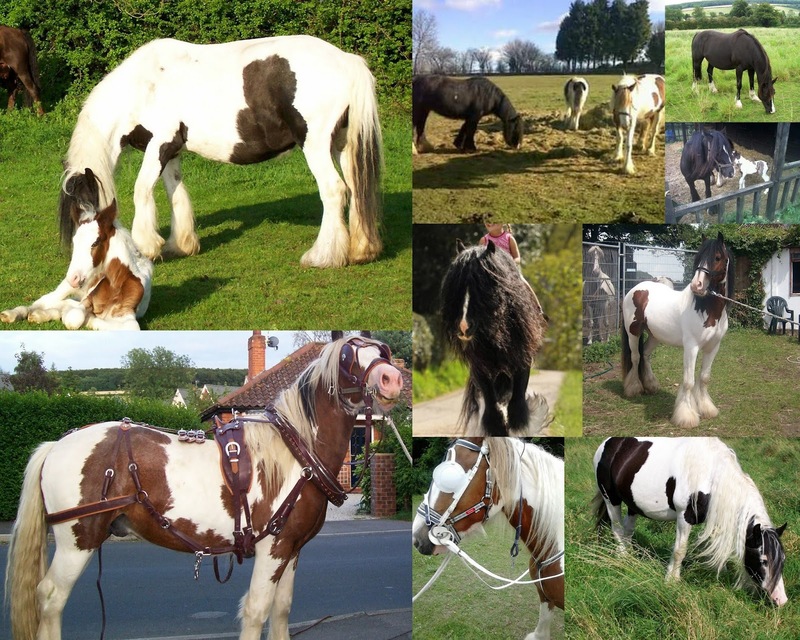 The cover pictures are a reminder of the Control of Horses Act, 2015, which is already having devastating effects on horse-drawn Travellers in some parts of the country. As a Dorset Traveller pointed out, “When they seize a man’s horse, they have no idea of the value of that animal to the owner. His livelihood and all he possesses depends on that horse.” This did not initially receive much publicity, until the “Countryfile” item which revealed that 80% of horses seized had been destroyed. Travellers have kindly provided the photographs on the front cover to represent their horses, and these images speak volumes about the deep bond that exists between them and their beautiful and beloved horses. The bringing into force of the dreaded new Planning Policy Guidance for Traveller sites on 31st August was remarked upon immediately by alert lawyers, and was dismayingly unaltered from the original disastrous proposals. This flew in the face of many well-argued consultation responses which pointed out the possible consequences of making it virtually impossible for Gypsies and Travellers to provide their own sites, as they had been urged to do at the time of the Criminal Justice and Public Order Act 1994. The sinister removal of Traveller status from people who had settled permanently for whatever reason has caused enormous dismay to all Gypsies and Travellers, who feel that their very existence as culturally distinct ethnic groups is threatened. The Housing and Planning Bill introduced in Parliament in the autumn of 2015 included a clause which removed from local authorities the duty to assess the accommodation needs of Gypsies and Travellers. Again, this was noted quite quickly, but despite representations which pointed out the impact on these hugely disadvantaged and marginalised groups of people, the government has declined to remove this clause. The Horse Passport Regulations 2009 already required horses to be microchipped when owners applied for a passport but the difficulty of complying when owners had no fixed abode appears not to have resulted in any guidance on how to proceed in such cases. It was therefore not surprising that the Microchipping for Dogs (England) Regulations 2015 similarly overlooked this difficulty. Only in Wales, it seems, was this noted as an area that required further guidance, but guidance has not been forthcoming. For nomadic Travellers, their dogs are an important means of supplementing income by trading or breeding, so this apparently well-intentioned measure is also a further deprivation with, as yet, no remedy. We note that organisations representing Gypsies and Travellers have now said “Dosta!” (Enough!) and have banded together under the leadership of the Traveller Movement to plan a march of protest in May. This will focus particularly on the Planning Policy Guidance as the most detrimental of all the measures introduced in the past year. This was also the strong feeling of the meeting we held in Marsden, Kent in September 2015, where Romani Gypsies were strongly represented. For Eastern European Roma un the United Kingdom there is also considerable anxiety as we approach the referendum about membership of the European Union. If we leave the EU, a host of questions will need to be addressed for which at the present there are no answers. Although under the radar, the Eastern European Roma community in the UK is huge and still growing. The Churches Network seeks to ground all we do in the Gospel of liberation we share and seek to proclaim. Our vision is of one people of God united through the cross in which we already have the victory. We believe we have a crucial role to be bearers of hope to a people who have all but lost hope. To achieve this we need to find a way to draw in the leaders of the GTR churches in the UK. As followers of Jesus Christ we accept his divine commission to the poor, the oppressed and the marginalised. Our hope is that we can so present what we believe to be God’s call to us that all the national churches will join us in speaking out to explain the harm that is being done to people already suffering severe disadvantages. · Identify key social justice issues which Gypsies, Travellers and Roma need us to address. · Plan ways in which these can be tackled. · Continue programme of awareness raising events. · Aim to encourage one-off road shows, ideally provided through regional structures. The email list now stands at 57 people, plus 2 contactable only by phone, which compares with 56 people last year. Since the names of people whose emails always bounced back undelivered have been deleted, this represents more of a gain than first appears. We do not operate any ethnic monitoring, but it is probably fair to say that only one of the new people on the list is a Romani, and another is a Roma. The facebook group membership is now 83, compared with 26 last year, and ethnic Travellers are probably better represented here. In fact, the group is very useful for networking, with members providing the photographs on the cover, and volunteering to author articles for the CMEAC book of minority ethnic saints. Nevertheless, our meeting in Kent demonstrated the willingness of Travellers to participate at a venue accessible to them, and with hosts whom they knew. This suggests that we should consider progressing regional structures where possible. The key social issue identified in Kent was the impact of the Policy Planning Guidance for Traveller sites which was issued on 31st August. This is also the issue which has brought Traveller organisations together to plan a protest. Since then a demonstration in London has also protested against the clause in the Housing and Planning Bill which removed the local authorities’ duty to assess the accommodation needs of Gypsies and Travellers. Traveller organisations and our own members appear not to have picked up the issue of the astonishing over-representation of Traveller children in custody, and the fact that they are significantly more likely to have bad experiences in custody than all other groups of children. (HM Inspector of Prisons, “Children in Custody, 2015) However, a CNGTR member brought this to the attention of the Bishop of Rochester, who holds a brief for prisons in the House of Lords. Our main proposal at present is to issue a statement explaining why the Planning Policy for Traveller Sites is so disastrous for the communities we seek to serve. The hope is to bring in as many Christian denominations as possible, and thereby rise awareness within the churches as well as among the wider public. Since any such statement will be at best ephemeral, we need to consider further ways of spreading the argument for a more helpful policy. Implementation of this plan has begun by contacting all the major denominations at national level. There were no awareness raising events organised by the Network in 2015-16, although one member organised a major event in her home cathedral, and one diocese again sent Holocaust Memorial Day liturgy suggestions to all incumbents, including mention of the Roma and Sinti victims. We have been delighted to welcome into the network representation from the Roman Catholic Church, the Baptist Church, the Salvation Army and the United Reformed Church. Some of these representatives are not often available in person, but their support is nevertheless greatly valued. We were very grateful to Olby and Gary Brazil and their families for generously hosting our September meeting free of charge in the South East Romany Museum. The Romany people of Kent were strongly represented at this meeting, which included worship and a bring-and-share lunch as well as a discussion of business. Christian faiths in that area. A meeting in Essex has been proposed, and we will need to consider how to involve the local churches. On 16th June the Diocese of Southwell and Nottingham held a day conference and exhibition to raise awareness of Gypsy Traveller culture, history and lifestyle in the State Chamber of the Archbishop’s Palace in Southwell. Two members were programmed to take part as key speakers. The Network started the financial year with £125 in the bank, and during the year received gits and membership contributions totalling £175. Payments of £30 and £19.24 were made for a senior railcard and an inkjet cartridge, both for the secretary, and the Network therefore ends the year with £250.76 in the bank. This upward trajectory in the funding is due to the generosity of the Church of England, which makes our usual venue available free of charge as well as contributing financially, to Salisbury Diocese, which funds travel for three of our members and last but not least to our members, who contribute financially as well as bearing the cost of travel to meetings. We are enormously grateful to Olby and Gary Brazil for making us so welcome free of charge at the South East Romany Museum and regard this as a useful model for meetings outside of London. It would be greatly appreciated if the secretary were also permitted to make claims for telephone calls, postage and stationery, and this should still leave us with a small but growing amount of funding, some of which we could use for our proposed “roadshow” events. We give thanks to God for one another, for the wonderful Gospel we share and for his consistent assurance of his love for people of every tribe and language and people and nation. As we commit ourselves to showing that love especially to people who suffer discrimination, disadvantage and sometimes extreme prejudice, we give thanks especially that Jesus constantly renews our hope, even in the darkest days. As we seek to bring light where there is darkness, our business plan for 2016-17 needs to build on our successes of 2015-16, and address those parts of our aims which have yet to be met. If I were only to be allowed to achieve one thing before I die, I would like to see the prejudice against Romanies and other Travellers replaced by understanding and acceptance.